Breastfeeding moms often worry about eating a healthy diet. A nutritious diet for breastfeeding is similar to that for pregnancy. 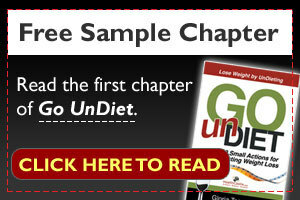 A well-balanced diet – including a variety of nutrient-rich, minimally-processed foods – is ideal. However, a perfect diet is not necessary, so there’s no need to worry. Below we address common diet concerns among breastfeeding mothers. Breastfeeding requires an additional 500 calories per day – more than pregnancy requires! These calories should come from healthy, nutrient-dense foods such as fruits, vegetables, whole grains, low-fat dairy products, and lean protein sources. Breastfeeding women need 25 more grams of protein per day than normal, the same as during pregnancy. This extra demand can be met by eating 6 – 7 ounces of lean meat/meat alternatives plus 3 cups of low-fat milk and dairy products. Breastfeeding moms need more fluids than usual. Drink a glass of fluid each time you nurse or pump, as well as with meals and snacks. Plain water, low-fat milk, and 100% fruit juice are good choices. Limit soda, juice, and fruit drinks, which are high in sugar and calories – choose plain water instead, or try diluting juice with water. Most breastfed infants can tolerate moderate amounts of caffeine (one to two cups of caffeinated beverages per day). However, the only way to know is to watch your child; some babies, especially those less than six months old, may be more sensitive to caffeine. Because alcohol passes into breast milk and may interfere with the success of breastfeeding, nursing moms should avoid alcohol. If you drink, limit it to one to two drinks per week and wait at least two hours after a drink to breastfeed. Breastfeeding women need to avoid fish that are high in mercury: shark, swordfish, king mackerel, tilefish, and tuna steaks. In addition, they should eat no more than twelve ounces of lower-mercury seafood per week. Examples include shellfish, canned light tuna, salmon, herring, cod, trout, pollock, and catfish. Albacore tuna is higher in mercury than canned light tuna, so eat no more than six ounces per week; you may choose to avoid albacore altogether. Also, check local advisories about fish caught in local lakes, rivers, and coastal areas. Breastfeeding mothers can usually meet their nutrient needs through a well-balanced diet. However, sometimes a vitamin and/or mineral supplement is necessary, so talk to your health care provider. DHA, an omega-3 fatty acid, is naturally present in breast milk. It is critical to brain, eye, and nervous system development in babies. Breastfeeding women are encouraged to eat natural sources of DHA: oily, cold-water fish such as salmon, herring, mackerel (avoid king due to mercury content), albacore tuna (limit due to mercury, see above), sardines, and anchovies. Some products are fortified with DHA, including certain brands of eggs, milk, yogurt, soy milk, soy products, and nutrition bars (particularly those for pregnant/nursing moms). Low-calorie diets (less than 1800 calories) are inadequate to meet nutrient needs and may cause decreased milk production.